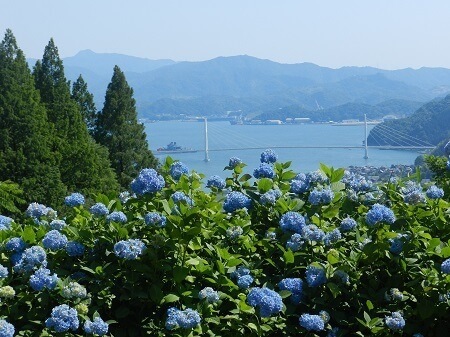 Maizuru Natural Cultural Park is famous as the leading spot for hydrangea flowers in the Kansai region. The Ajisai Matsuri festival will take place from June 8 to July 8 where you can glance 100,000 hydrangeas. Entry to the park costs ¥300 for adults and ¥150 for kids. You can also get in for free if you’ve purchased a Maizuri Kamaboko 1-day bus ticket. 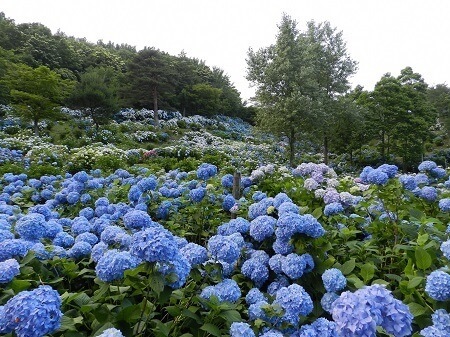 Right now is the peak season to see the 20,000㎡ of blues, whites and purples known as the Sea of Hydrangeas. It’s an extremely popular spot for taking photos. To celebrate the opening of the festival, the first 30 people to arrive on any of the first three days (June 8-10) will receive an original postcard. There will also be a chance to see hydrangeas being replanted, an opportunity to plan for yourself, mini concerts and other small fun events. 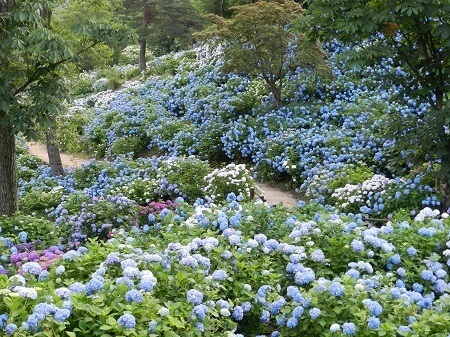 Get lose in the sea of hydrangeas this summer at Maizuru Natural Cultural Park. Opening Service: The first 30 people to arrive on each day between June 8-10 will receive an original postcard. 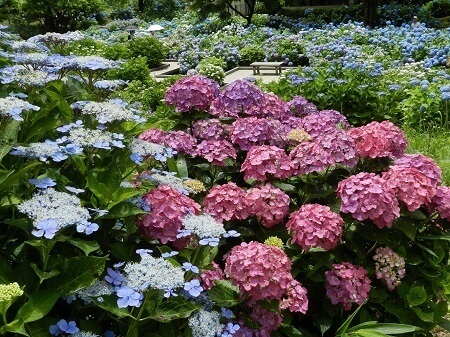 Ajisai Purchasing: Around 320 hydrangeas will be sold from June 8 at 9am-4pm. First-come, first-served. Wan Wan Hiroba (Free): A dog run will take place on June 9 and 10 in part of the park. Hydrangea Market: Purchase local vegetables, handmade items and more on June 23-24 at 10am-3pm. 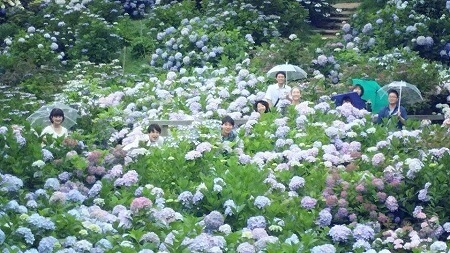 Hydrangea Planting: 30 people max. ¥100 each. July 7. *Entry to the park is normally free but a fee will be in place during the festival. *Discounts available for groups of 20+ people. *Free entry if you’ve purchased a Maizuri Kamaboko 1-day bus ticket (Adults ¥1,000 / Children ¥500). *Half price for those who present a Physical Disability Certificate, Rehabilitation Certificate, Mentally Handicapped Welfare Certificate, Wounded and Sick Retired Soldier Certificate, or Atomic Bomb Survivor Certificate. From Platform 2 of JR Higashi-Maizuru Station, get the Kyoto Kotsu bus (京都交通バス) bound for Mihama (三浜線), ride for about 30 minutes and get off at Maizuru Natural Cultural Park (舞鶴自然文化園).